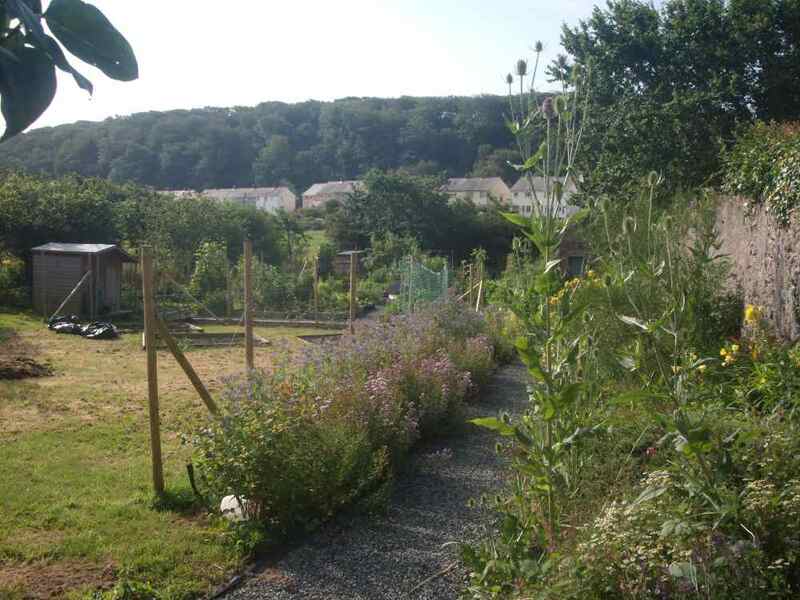 Dale Gardening Group is part of Dale Community Forum and has a representative on the Forum Management Committee. There is no formal membership: all are welcome at meetings and on projects. There are two main activities at the moment: Practical work in Dale Castle Walled Garden and Garden visits. All the raised bed plots are being planted now: Potatoes, broad beans, onions and shallots are growing well. Small seeds starting to germinate and newly planted strawberries are looking good. 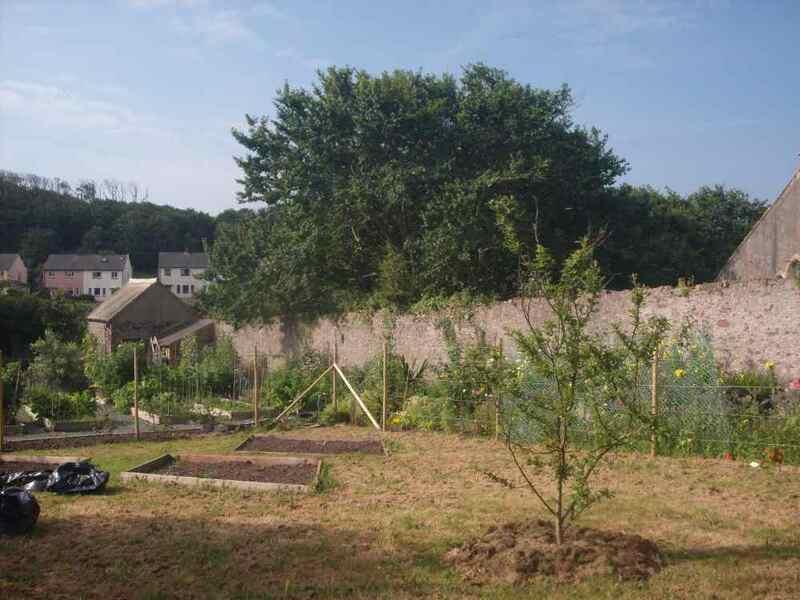 The Community Garden is a warm and tranquil spot for admiring the flowers – the white lilac is in bud and will soon come into its full glory – do drop in and spend some time there – it’s open to all. Jo has asked if there is anyone is not intending to cultivate their plot this season. 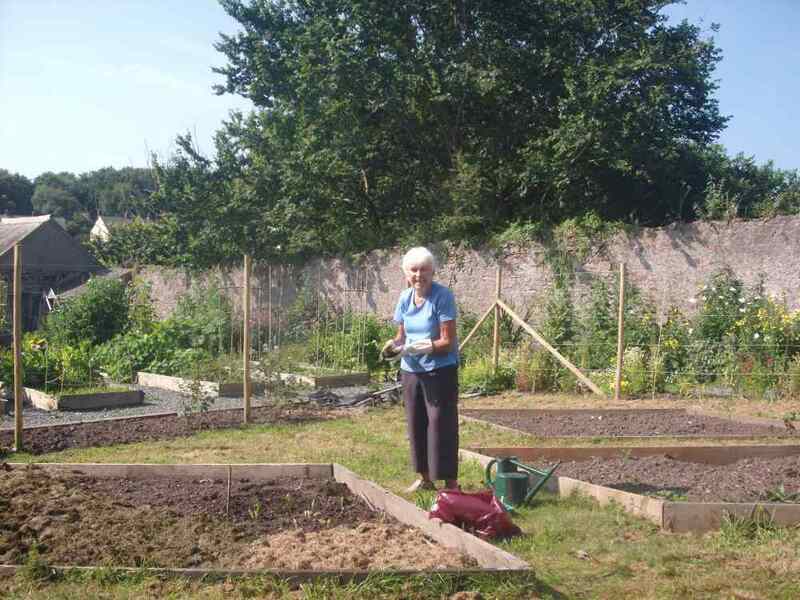 If you cannot do any gardening in the Walled Garden this year, please contact her on 01646 636684 – she has a waiting list of people who would like to try their hand at growing produce in a raised bed. The sap is rising and the “early birds” have already planted potatoes, shallots, onions and broad beans. The Community section of the garden is also ready for use. Don’t forget it is available for anyone to sit and relax in beautiful surroundings. Groupds may want to hold events there, too – just contact Jo for more information or feel free to walk in, if the gate is open. The Community bees seem to survived the winter and have started pollen collecting. Please contact John, if you would like to discover more about this exciting venture. (01646 636463). We look forward to seeing everyone shortly for a good season’s gardening!